The U24E590D is a 24″ affordable 4K screen and one of the best that was made available in 2015. If you are looking at making a move up to high resolution gaming then you’re going to want to get researching this model from Samsung. 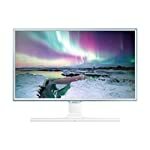 This 4K monitor provides a clear crisp image at a 3840 x 2160 resolution. If you’re moving from 1080 your really going to notice the difference. Some might say that 24″ is not big enough to enjoy the full experience and you’ll need to make sure your apps scale correctly to ensure text is big enough to read. This could create frustration for some users but many have no problem working with this resolution, it will depend on what you are using it for. You’ll also need a decent graphics card if you intend to game at 3840 x 2160. That’s a lot of pixels to push around the screen and each frame requires a whole lot more memory to process when compared to good old 1080p. The Samsung is a a nice looking monitor in my view, simple straight lines, an elegant stand, although perhaps the bezel could have been thinner. It comes with a DisplayPort connector, enabling you to hook it up to your FreeSync enabled graphics card, there are also a couple of HDMI ports if you need to plugin a console for example (not that you will be running at 4K!). You’ll find a matt screen, this helps to significantly reduce glare and annoying reflections. I prefer a matt finish myself, but others find that they don’t look quite so pleasing. It does not have a great range of adjustability, you get a 20 degree tilt and that’s about it. You do have VESA 75 X 75 mounting so if you want to mount it you always have that option open to you. There are no speakers but there is a headphone socket provided for your convenience. USB sockets are also absent. The U24E590D features a PLS based panel which provides superior colour reproduction and viewing angles when compared to TN displays. There is a downside to the technology, the response time isn’t going to be as fast. That said, with a quoted 4ms response I don’t think you’ll have any problems with this monitor. The inclusion of FreeSync ensures this is a gamer friendly screen. The Samsung panel provides 8-bit colour which gives you up to 16.7 million colours, but that’s 98% of the sRGB colour gamut. 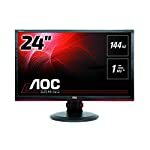 Professional monitors typically support 10-bit colour. AMD’s FreeSync technology is included and as long as you have a modern AMD card you’ll be able to enjoy tear free gaming. The FreeSync range is thought to be around 45 to 60hz, this does mean that if your graphics card output drops below this lower limit you may still be vulnerable to screen tearing. We give the Samsung U24E590D a 4 out of 5 rating. Want to know what existing owners of the monitor think? You can read real user reviews here. Should I buy the Samsung U24E590D? The U24E590D is an affordable, but small, 4K monitor which could be a good starting point for any gamer looking to dip their toes in the water of high resolution gaming. Ideally you'll be pairing this up with a modern AMD card capable of supporting FreeSync and moving 8m pixels around the screen. If you are having some doubts about this purchase then why not read some real owner reviews and see what other buyers think. Welcome to the Samsung U24E590D FAQ. This section attempts to answer common questions you may have, please get in touch if you have any more queries or if you think our answers need updating. Does this monitor support a portrait mode? The supplied stand cannot support a portrait position I’m afraid to say. But the Samsung does come with VESA fixings so you could in theory get hold of a different mount that is capable of positioning the screen in your preferred orientation. 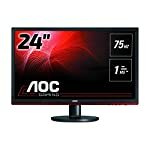 Can my old graphics card power a 4K screen? 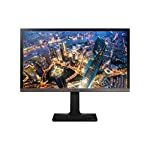 The first thing to check is whether you have DisplayPort or HDMI connections to hook up this monitor. If you want good gaming performance you will need a high end card, we’d recommend the R9 Fury X or newer. Need to upgrade your graphics card? 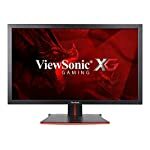 Can I use this monitor with my Nvidia GTX980? Sure you can. You just won’t be able to use FreeSync. But it will still look great.